While surfing the web this past week, I came across an article on umbrella insurance and why some people should get it. I was curious, so I decided to look into it a bit more. I don’t personally know of anyone who has an umbrella insurance policy, but then again I don’t go around asking people about their insurance coverage. 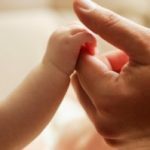 It does seem like a useful insurance policy that can provide important protection, so I want to share what I learned. Umbrella insurance is basically extra liability coverage. Instead of protecting you from rain, like the name suggests, umbrella insurance is meant to cover any limitations you may have with your existing insurance coverage. If you’re involved in a lawsuit where the judgement is more than what your auto or homeowners insurance policy covers, the difference would normally have to come out of your pocket. If you have an umbrella policy, though, it will cover the difference and protect your assets. Property damage liability – This covers any loss or damage to someone else’s property due to your vehicle, pet, or yourself. Slander/libel – If you make an injurious statement that causes someone a loss, your umbrella policy might provide some protection. Bodily injury liability – This covers any medical bills another person suffers due to an accident where you’re at fault. Legal fees and defense – This coverage almost makes umbrella insurance worth the cost itself. Attorneys can be expensive, and if you’re getting sued, having your legal costs covered can give you some peace of mind. Apparently there’s a myth that umbrella insurance is only affordable to the rich. As it turns out, you can purchase umbrella insurance starting at one million dollars worth of coverage for as little as a few hundred dollars per year. How much coverage should you get? Some people get enough to cover their assets, but if someone sues you for more than that amount, then you’re still left with a big bill. You may want to look at insurance coverage that exceeds your assets as a buffer. Don’t go overboard though, because excess insurance does help anyone – except your insurance company! When looking at umbrella insurance policies, ask if there are personal liability limits that you’re required to have on your auto and home insurance. You’ll have to factor in the price difference if you upgrade your current coverage. An alternative option to getting umbrella insurance is going back to your current insurance companies and seeing how much it would cost to raise your liability coverage. You may find that to be a cheaper option or at least more affordable for the time being. Since prices vary by company, region, and customer’s circumstances, only you can crunch the numbers for your family and see if umbrella insurance is the right thing for you. As with other insurance policies, it pays to do some research before you sign up for anything. You have to be prepared and know when to ignore a salesperson’s presentation and when to listen to useful advice. Since you probably already have auto and/or home insurance, talk with your current agent to see what they can offer you. Ask them to break down the benefits and costs. Tell them that you need to sleep on it and think about it. Your next step is to shop around. While there are many more options, going with a well known company can be a little more reassuring in the event you need to make a claim. Hopefully you’ll find a policy that offers solid coverage at a fair price. I have to talk to my husband about this and see if we should look into it a bit further. I admit that it sounds like a decent option. Since this is a relatively new thing for me, I’d really like to hear your take on it. “I have friends who were sued by a door-to-door sales person who tripped over their landscaping while walking across the lawn. Their homeowner’s policy paid out to its limits, company provided personal liability paid out to its limits and friends had to refinance all the equity out of their home of 10 years. This was in tort-happy late 90s, but still – valuable lesson. I have debts commensurate with assets (net worth in the LOW 5 figures! ), but I still carry umbrella at $1M – for $150/year. Reason being? Judgments can attach future assets as well as current…unless you bankrupt on the judgment. Something to consider.” – Unfucking believable. Only in America can a door to door salesman sue you for a ridiculous sum of money and cause you to practically go bankrupt after practically trespassing on your property by harassing you into buying crappy products you didn’t need in the first place. @shawn – do all umbrella policies cover legal defenses? I have a policy but can’t find my paperwork to check. Thanks. I am an insurance agent in WA state. And for my clients, if they own a home, they NEED umbrella insurance. Add to that young drivers, pets, toys, etc, you leave yourself wide open for complete financial ruin without this valuable, inexpensive coverage. Just the legal defense alone makes it worthwhile. I have seen too many of my clients lose not only what they HAD but their future income as well, all to save a couple bucks. Don’t risk it, buy the coverage ASAP. We have a million dollar policy for about a couple hundred bucks. To qualify we had to show that we have the maximum liability on our regular policy. I think it was 350K and fill out a questioner about our lifestyle. Nasty dogs? Yes or No. Etc. My understanding is that if a gardener comes to my home to make a proposal and falls off the step I am covered. But if I hire him and he chops his leg off while he is falling off my step, I’m not covered. My insurance person advises me to only hire people who carry their own insurance. I’m not certain about all this, but it does make sense. Yes, I’m keeping the insurance. Also having an umbrella policy (1MM), my broker pointed out that the settlements on the higher end are settled around 700-800 thousand, w/the higher settlements being around 1.2MM-1.5MM. I also have underlying limits of 300G, respectively for the auto, and rental insurances, along w/home insurance, thus bringing coverages to total of 1.3MM, WITH lawyer representation provided. Any one hear of any settlement amounts to learn from? Thank you in advance. I have a rental property that is covered by a $1M umbrella policy; pay about 200$ annually for it through USAA. I carried an umbrella policy when I owned a boat and 2 ATVs on some rental property, but I dropped the coverage when I sold them. I picked up an umberella policy when my net worth got over 500K. My agent thought it was a bit soon, but my next door neighbor did some rather thoughtless landscaping right on our property line (a real tripping hazard) and I figured ‘better safe than sorry’ in case somebody went after me, too. My father was in the insurance business and one of the things he advised me was to have an umbrella policy. He saw too many situations such as the one described above where a lawsuit caused financial hardship after reaching the policy limits on the underlying policies; and has been pointed out, umbrella policies are relatively inexpensive. 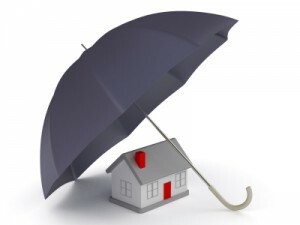 Umbrella insurance works in conjuntion with auto/home insurance and some adjustments may be required in your underlying policies in order to purchase an umbrella – some companies tie the umbrella to the homeowner’s while others tie it to the auto. 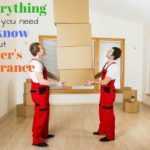 Surprisingly, there is very little information about how much umbrella coverage is needed – my insurance agent did not know so I pieced it together myself by searching online. Most companies write umbrella insurance in $1MM increments – coverage up to $5MM is faily easy to obtain but special underwriting is frequently required for amounts over that. We recently purchased a vacation home and inconjuntion with that I increased our umbrella coverage from $1MM to $3MM, with minimal incremental cost. I have friends who were sued by a door-to-door sales person who tripped over their landscaping while walking across the lawn. Their homeowner’s policy paid out to its limits, company provided personal liability paid out to its limits and friends had to refinance all the equity out of their home of 10 years. This was in tort-happy late 90s, but still – valuable lesson. I have debts commensurate with assets (net worth in the LOW 5 figures! ), but I still carry umbrella at $1M – for $150/year. Reason being? Judgments can attach future assets as well as current…unless you bankrupt on the judgment. Something to consider. The “enough insurance to cover your assets” rule of thumb is a little odd. Maybe the theory is that people estimate your net worth and use that information to sue you, not knowing about the insurance? Or maybe it assumes that the odds of you being sued are (roughly) correlated with your net worth? Regardless, what you really need is an umbrella policy covering the maximum amount you expect to get sued for. I have been looking at umbrella policies as well. One area of coverage that you may want to look at is error and omission coverage (similar to liable/slander). Since you run a business that publishes financial advice, per se, you could run the risk of being sued about something you post or say. Many insurance offices, brokers, and accounts have this type of coverage because of the line of work they do as well. @GoYanks: I know little about umbrella policies, but I do recall from research is that most policies require you to have a certain amount of auto protection before the umbrella policy kicks in. Laura’s post mentions this. It means an umbrella works with your current policies, rather than instead of. As I understand it, your auto insurance premiums may go to raise your coverage amounts up before you can even get an umbrella policy. Wow! that seems cheap! May be I should look into reducing my liability coverage on auto policies and buy an umbrella policy. That should easily cover the cost! DH and I have a $1M umbrella policy. For us, it’s a small price to pay ($180/yr) for peace of mind. While we hope we’ll never need it, it’s nice to know that we’re finally insulated against unfortunate incidents. This type of insurance is meant to protect you from a a large legal judgement but does having an umbrella policy make you a more tempting target for frivolous lawsuits? What are the unintended consequences of umbrella policies?